Click on one of the images below to see a slideshow of larger images! Villa Giardino is a truly unique Lake Garda holiday rental property. It is a newly renovated 3 bedroom villa situated in an idylic location, submersed in nature, with stunning views of mountains and Lake Garda. Villa Giardino is located down a private road with just two other houses. As you can probably assume from it’s name, the setting is quite, peaceful and perfect location for those seeking to ‘get away from it all’. Villa Giardino is set in 3000sqm of rustic, tiered gardens, surrounded by olive trees, fruit trees, jasmine and oleander. Bordered on one side by woodland, with mountain views on the other side, the front of villa faces out toward the lake. The views from the terrace are absolutely amazing, you won’t be able to put your camera down. The villa has just been renovated to a very high standard and the owners have managed keep a rustic element, whilst offering comfort and ‘mod cons’. There is a subtle blend of English and Italian décor as the owners idea was to create a lake house effect, whilst incorporating ‘moda di Italia’, using local materials. The villa has been set out over two levels, with no internal staircase. The upstairs consists of two bedrooms, a shower room and an open plan living area, which consists of the kitchen, dining and sofa areas. The entrance is up a flight of wooden steps which take you onto the front terrace which has a sofa and a small dining table. You can tell from the kitchen that the owner loves to cook, but it’s not the Neff oven and Hob that you will be most impressed with, nor will it be the travertine work surface and breakfast bar. The ‘piece de risistance’ in this kitchen are the views from the dual aspect windows. Standing at the sink you can gaze across to Monte Pizzocolo and Monte Baldo, whilst the window above the hob frames the ‘golfo di Salo’ picture perfect. Three doors on the far side of the living area lead into the master bedroom, the second bedroom and the shower room. The master bedroom is has a king size bed and a king size mirror , perfect for getting yourself dressed up for a night out in Salo. The second bedroom has small double, a fitted wardrobe and a curved wall feature. Both bedrooms windows look out to olive and fruit trees, orleander and bay, you can even glimpse a palm tree. On the other side of the curved wall is a spacious shower room. When you step out of the nicely designed shower, you can dry yourself off whilst gazing out at yet more mountain views. A solar panel system heats the water while the latest technology digital inverter aircon system provides the heating or cool air (this is provided at an additional weekly cost). It is a lovely apartment inside but you will probably spend most of your time out on the terrace, where you have a 180 degree view of the mountains and the lake. If you’re an early riser you can witness amazing sunrises, or if you are lucky enough to be there at full moon you can witness the magical effect it has as it hangs above the lake. The owners plan to build a swimming pool but have unfortunately missed out for the coming season. The villa is ideally suited for small families with one or two older children, possibly holidaying with extended family or friends. Due to the steep tiers in the garden we do not feel the property would be suitable for children under 12 (except babies of course). The property is available from July 5th to September 5th. The advatage of renting our villa is that there are two distinct accommodations. It would be perfect for familes consiting of three generation, i.e nan and grandad are holidaying with their children and grandchildren. It would also be very suitable for families with elder teenage or young adult children, they would get to have their very own space. Due to the location it would be perfect for up to 4 singles or 4 couples with interests in yoga, meditation, cycling or walking. 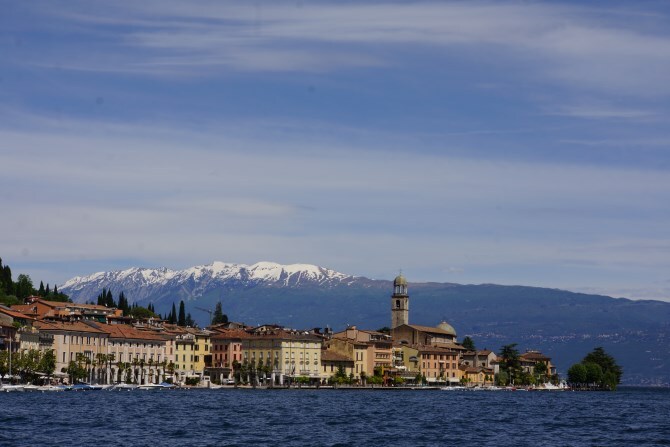 The apartment is located in the hills behind the beautiful town of Salo, which we think is the jewel in the crown of Lake Garda towns. Salo boasts the longest lungolago, which is brimming with cafe bars from where you can enjoy an aperitivo and watch the world go by. Salo also has a beautiful beach with jetties that protrude out into the crystal clear lake, perfect for soaking up the sun and then jumping into the lake to cool off. There are a number of bars and restaurants for you to take lunch or refreshments. Portese beach is also just a short drive away. 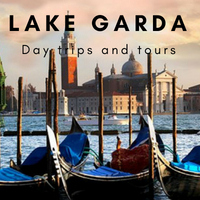 Salo has a ferry terminal so you can easily explore other parts of the lake. 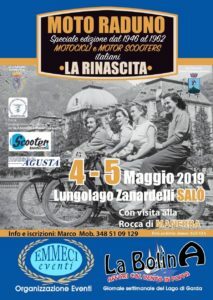 Other nearby towns include Toscolano Maderno, Gardone, Manerba, Moniga, Peugnago del Garda, Portese, San Felice…..all of which have fantastic restaurants, attractions and a full program of events throughout the mid to high season. The Valtenesi wine region, which is famous for producing Groppello wine, is just a 10 minute drive away. Most of the fantastic Cantinas have shops where you can walk in and taste and purchase excellent wine. There are also a number of wine tasting events throughout the year perfect for wine lovers to educate themselves on Italian wineThere are so many more Lake Garda attractions and activities that you can enjoy in the nearby area including wine tasting, walking, horseriding, mountain biking, hang gliding, parascending, boat rental, museums, castles and gardens.Not too far away you can also find: climbing, canyoning, windsurfing, kitesurfing and lots more.